You are currently browsing the Speed Factor Racing blog archives for February, 2012. 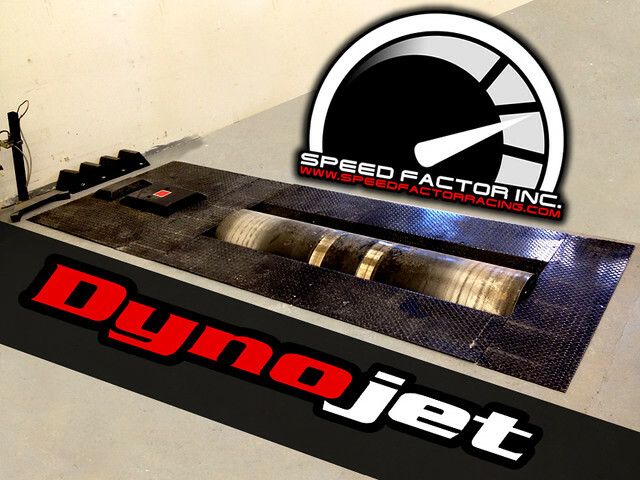 We are proud to announce that after months of careful planning and discussion with Dynojet, Speed Factor Racing now has a Dynojet 2WD in-ground chassis dyno installed and fully operational. We will be offering full dyno tuning services as well as benchmark services for all 2WD vehicles. Don’t worry AWD guys! We didn’t forget about you! There are already plans in the works to be able to tune you guys at a later date. 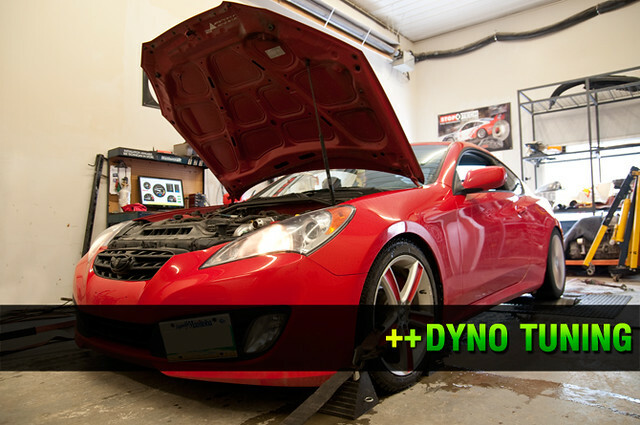 Our Dynojet is installed in-ground to accommodate even the lowest of vehicles and can handle up to 2,000 whp! All of our dyno tuning and testing is performed by Danny Dunning from Overboost Sport Tuning. Danny has tuned some of the quickest vehicles in the city and owns an 800 whp H22A EK Civic hatchback often seen at Gimli during the summer months. – Eddy Current Load Absorption Unit, Torque Cell, and dynamic load control software. Perform loaded tests, including step, sweep, and wind drag simulation. We will Dyno any 2WD vehicle that can be successfully tied to our Dynojet dyno. Front wheel drive cars, Rear wheel drive cars, Diesel trucks, etc. We have purchased EVERY optional sensor and module offered from Dynojet to make sure your tune is done safely and reliably… as well as make POWER! PLEASE COMPLETE, SIGN & HAND IN BEFORE PROCEEDING TO THE DYNO! There has been much speculation as to whether or not we have expanded our business with a dyno and dyno tuning service. The simple answer is “Yes”! Over the next few weeks we will be updating our website with Dyno tuning information as well as all the documents required to have signed before tuning.